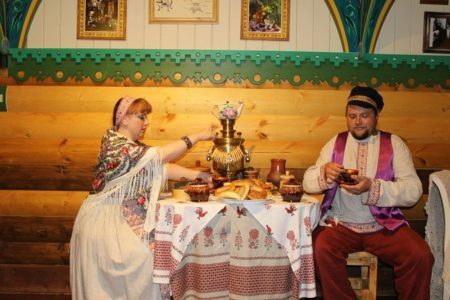 A gastronomic tour to Pereslavl-Zalessky, with a visit to a private cheese factory and a museum of tea tasting. 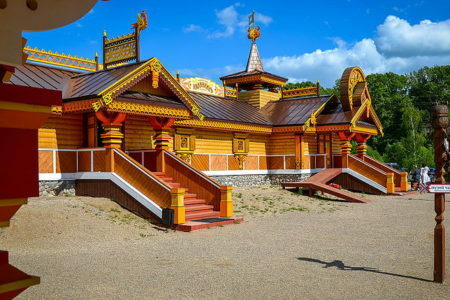 On the territory of the reserve “Plescheevo Lake”, not far from Pereslavl-Zalessky – one of the most beautiful cities of the Golden Ring, in the homeland of Saint Alexander Nevsky, there is a private cheese factory, modeled after traditional European handicraft production. In the Tsarist Empire, Yaroslavl Province was the most cheese region in the country, in which more than 300 cheese-makers operated (late 19th century). It was here that a special breed of cows was made for cheese making – Yaroslavskaya. To our days, alas, not a single cheese-making plant has survived, and little is known about the recipes of Russian royalists of tsarist times. But we are lucky enough to become guests of people who have fulfilled the dream – to revive the handicraft cheese-making of Russia. Milk for the local cheeses are used from the Yaroslavskaya cows, the very breed that historically produces cheese, especially rich in protein and high in fat content. 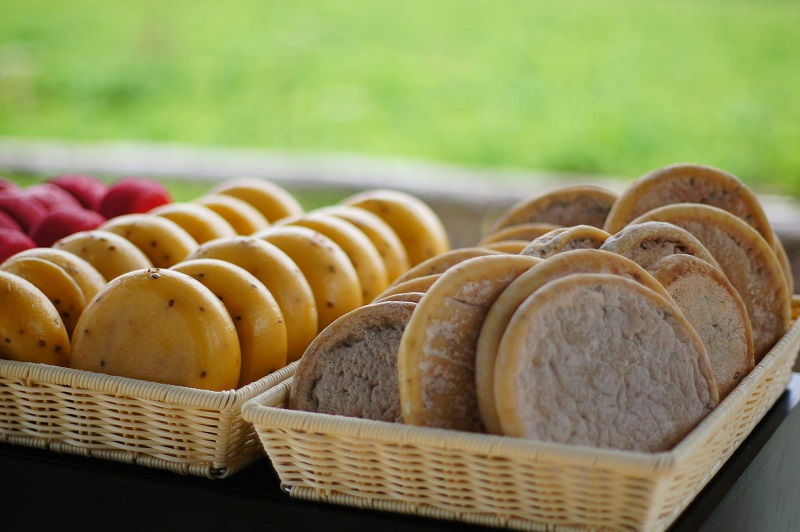 Here all the principles of handicraft cheesemaking are preserved: the cheese is cooked by hand exclusively from raw whole milk, and the cheese ripens in special cheese rooms, due to which the cheese acquires a special refined taste and aroma. Also, traditional dairy products are prepared on the cheese factory: cottage cheese, sour cream, kefir, yoghurts. We are waiting for a tour of the cheese factory, which will allow us to plunge into the world of handicraft cheese making, into the flavors of milk and cheese, to look at the holy of holies – the chambers of cheese ripening (through a special showcase), to understand the peculiarities of Italian, Dutch, French recipes, learn about the history of Russian cheese making , observe the production process. In the end, we are waiting for the tasting of the best cheeses that are prepared in the cheese-making plant (5 types of cheese). With the cheese shop there is a shop where you can buy all the products you produce. After visiting the cheese factory, we will have a sightseeing tour around the picturesque, fabulous and bright Pereslavl-Zalessky – a real miracle-degree on the shore of the oldest Pleshcheeva Lake. 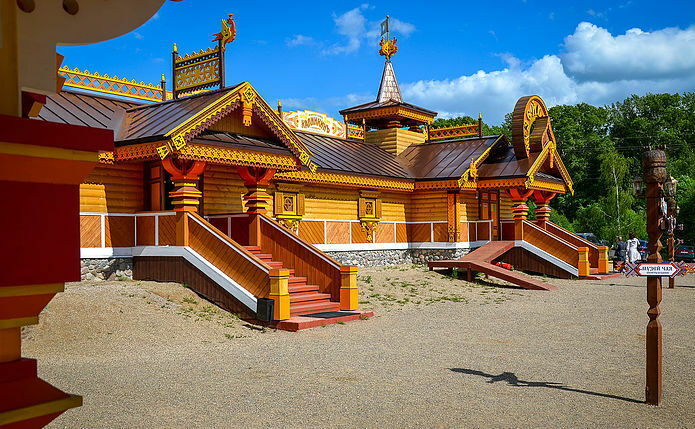 In 1688, Peter I began the construction of the amusing flotilla on Pleshcheyevo Lake, and to this day the royal boat Fortuna has been preserved, which you will certainly see after visiting the Botik Peter I museum. 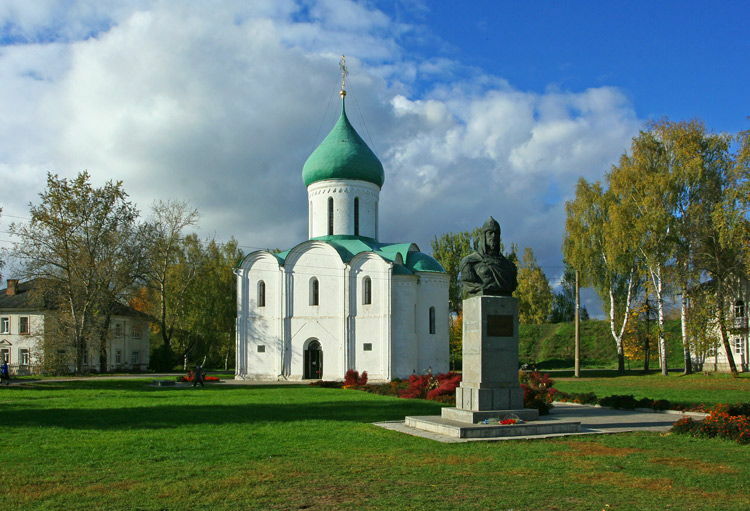 From the ancient city to our days, the Red Square is preserved – an open-air museum in the center of which is the pearl and pride of Pereslavl – the Transfiguration Cathedral of the 12th century – the oldest building of Vladimir-Suzdal architecture. 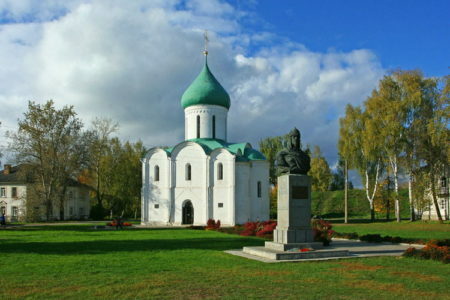 Nearby is another remarkable rarity – the stone tent church of Peter the Metropolitan, built in the XVI century. Distracted from the daily city bustle you can in the unique archaeological ensemble of the Goritsky monastery of the XVII century, which now houses the Pereslavl Historical and Art Museum. Here you will visit the Sacristy – a collection of masterpieces of Russian jewelery and applied art of the Pereslavl princedom.